The Bryker Collection of commuter bags and cases takes classic design to the next level with contemporary details, full protection and clever organization for today's urban commuter. 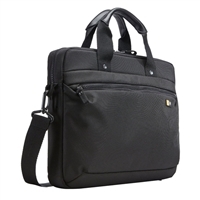 Designed to keep commutes and travel simple, this protective attache keeps your laptop, tablet and a few extras within reach and organized. Easy access pocket for electronic devices. 14.57" x 1.97" x 14.17"